Still thinking about light, I am considering daylight and no daylight. 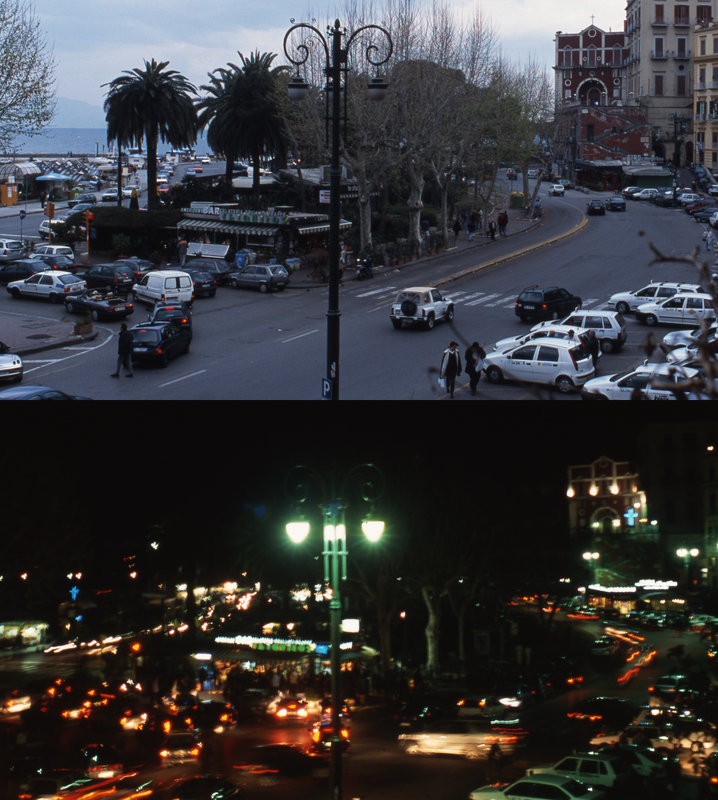 I searched my photos to find day and night comparisons and found these, which were taken from the windows of a hotel in Naples, Italy. They overlooked Via Mergellina, which ran along the Bay of Naples. It was a busy street during the day but became chaotic in the evening and at night. Although these were almost taken from the same point, seen alone, they could be mistaken for a completely different location. Why is that? The day photos were anchored-buildings, street, cars, boats, water. They show a straight forward view up and down the street. 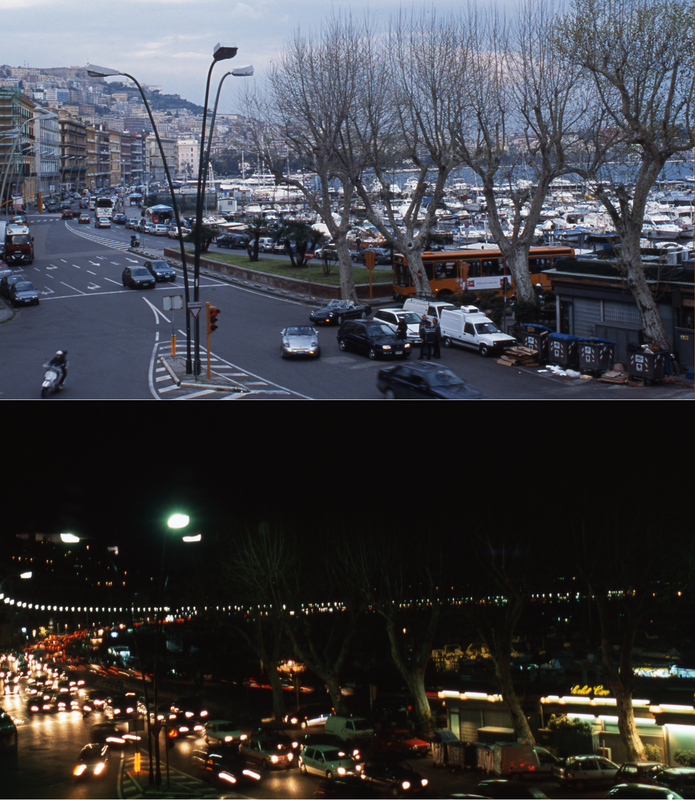 The night photos show headlights and street lights dancing around and your eye follows them throughout the image. Most things, people, buildings, etc. are obscured. One cannot tell where this photo was taken. The lights and movement are important and exciting.